Virginia11.info: A few months ago, I decided I was overdue for a proper vacation. The last time I had been away for any length of time was five years ago. After my first year of university, my parents generously sponsored me to go on a European tour. I visited eight countries in fourteen days, and slept in youth hostels the entire time. The only luggage I brought with me was my trusty backpack. Following the advice of some more seasoned travelers, I sewed a Canadian flag on my backpack. Everyone loves Canadians, eh! This trip was to be somewhat different. I have decided to go back to Europe, but this time I will be traveling in style. I am planning to take a first-class flight into London, and I am in dire need of some first-class luggage. Luggage is such a difficult thing to shop for. It is one of those things that will not be used often enough to justify any great expense, but to purchase cheap luggage would be a complete waste of time and money. 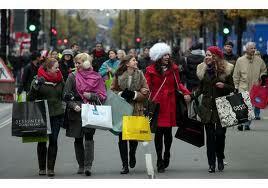 I decided to get together with the friends I will be going away with, for an afternoon of good old American shopping. We spent the afternoon going from department store to big-box store to specialty store and back again. I finally narrowed my choices down to three potential sets of luggage; American Tourister, Briggs & Riley, and Zero Halliburton. They each have certain appealing aspects, and they are all reasonably priced. I read somewhere that American Tourister luggage has one of the best warranties in the industry. Briggs & Riley have been manufacturing quality products since 1993, and they also offer an extensive warranty. Zero Halliburton is, well…..Zero Halliburton. Once I thought about it for a little while, I realized that the Zero Halliburton suitcase was the one for me. I'll admit that I am actually in love with this luggage. If James Bond were transporting a suitcase filled with priceless gems, he would use a Zero Halliburton. I ended up purchasing a 26-inch Suiter for the slightly bloated price of $900.00. It is constructed from a wonderful brushed aluminum that looks like it would withstand an explosion, much less the baggage handlers at Heathrow. I will be bringing my prized collection of designer purses with me, so I can rest easy that they will be well protected in my awesome new suitcase. Do you think I should put a Canadian flag on it? Discuss your ideas in www.virginia11.info.